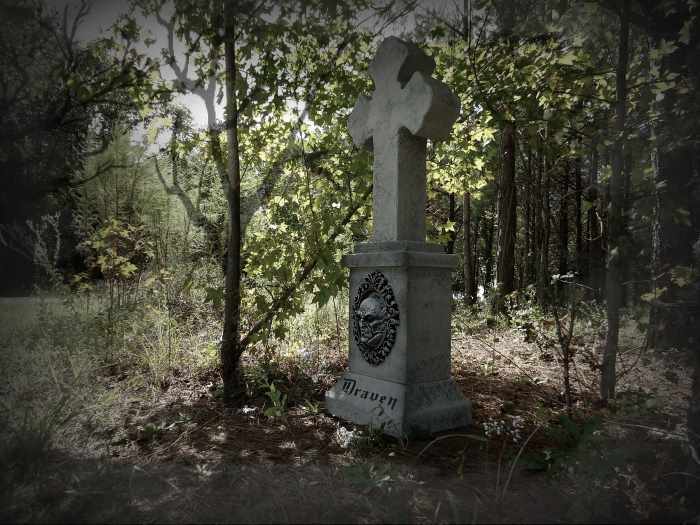 This fabulous three dimensional tombstone features a 5-level design. 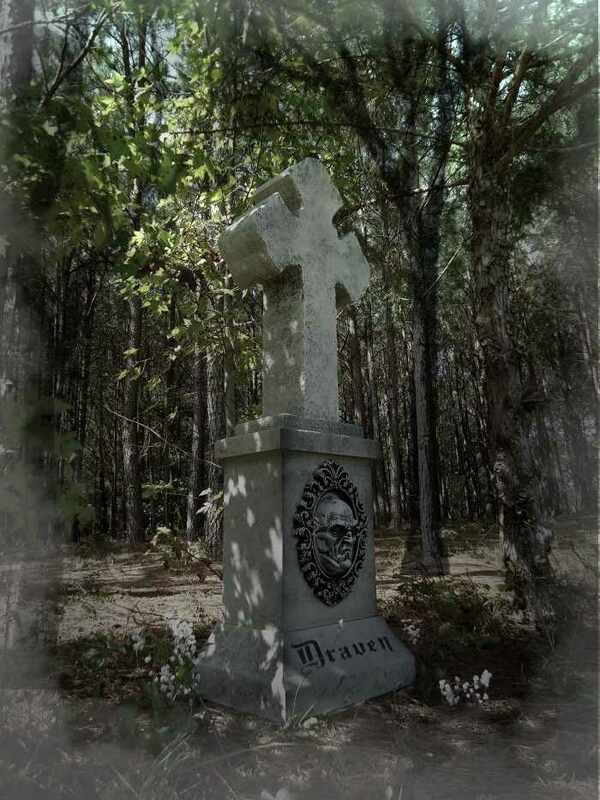 Engraved “Draven” Measures a HUGE 53” H X 16” W X 13″ D. Epitaph is actually engraved into each tombstone, not stenciled. Created to be as close to true size as possible for a realistic look without being oversized for shipping. Made from weather-resistant rigid foam for indoor -outdoor use and comes with a galvanized steel stand. This is a must have for any true Halloween enthusiast. Each year we create a limited quantity and once they are sold out for the year, that’s it. Almost every design sells out each year so order soon before the one you want is gone. 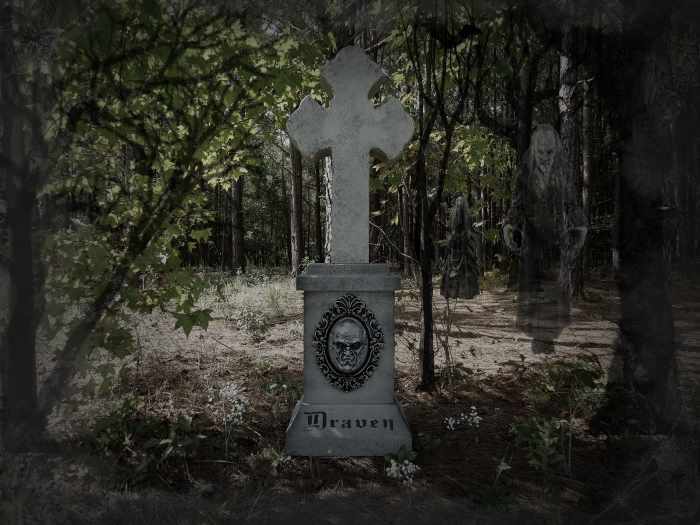 I thought I was done with Halloween shopping for the season, then this tombstone showed up on the website and I had to have it – Received it today, opened up the box and assembled this tombstone and… I definitely made the right move opening my wallet up one more time. 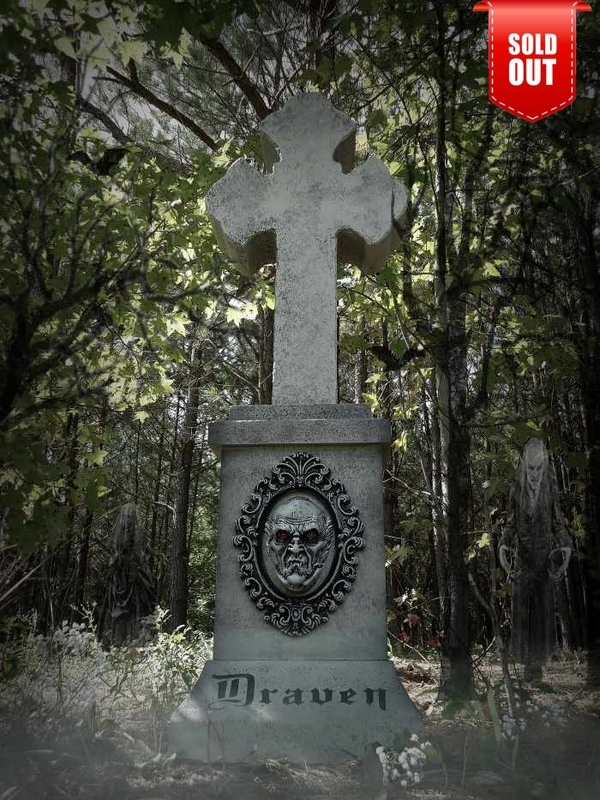 Kudos and thank you Evil Soul Studios for helping make Halloween decorating exciting once again this year!